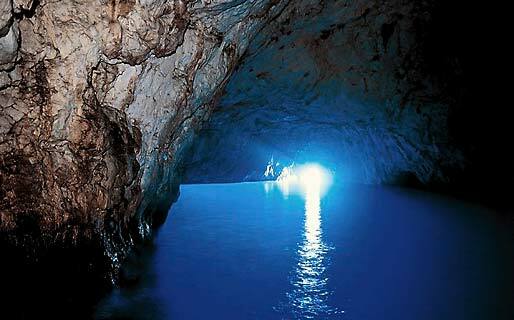 Are you planning a day trip to Capri Italy, arriving in the morning and leaving the evening of the same day? 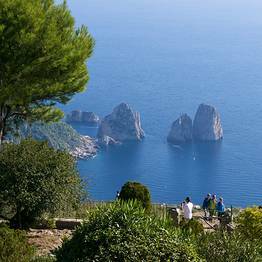 We've put together this insider's itinerary of Capri island to help you plan the perfect day and visit the most important sights on a tight schedule. We strongly recommend planning at least one overnight stay, but if you just can't fit it in, follow our 8-hour tour for the best of the island...but come back for a longer stay next time! 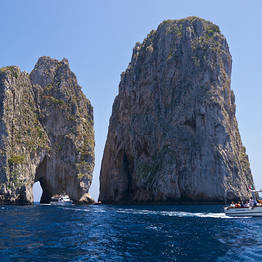 If your ship is docked in the Naples port, you can easily organize a day on Capri independently. 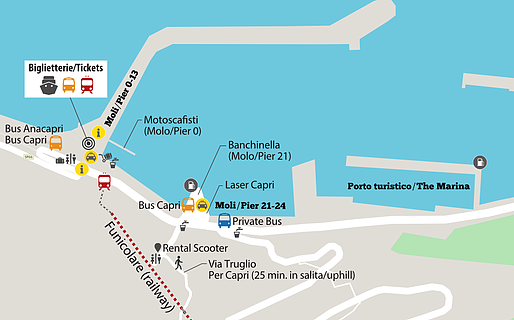 The pier used by cruise ships is quite near Molo Beverello, where hydrofoils headed to Capri depart (view the map of the Naples port). Once on Capri, it's very simple to get around by yourself. 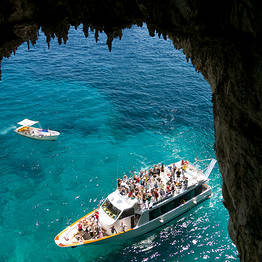 A tip: during the high season months of July and August, Capri gets quite crowded and there can be long lines to board the hydrofoils and buses. We recommend purchasing a roundtrip ticket in the morning for the hydrofoil to save time on the return trip, and to plan your itinerary carefully, as the temperatures can soar during those months and you won't want to have to do too much walking. Beat the heat: In July and August, the heat and crowds can make this itinerary too strenuous. Choose the most sights and activities you find most interesting ahead of time, but do not do them all in one day. On the hottest days in summer, visit La Piazzetta early in the morning or late in the afternoon, and relax the rest of the day on a boat out on the water or at the beach. Try to reach Capri as early as you can in the morning to beat the crowds (see here for the schedules and prices of ferries to Capri Italy). 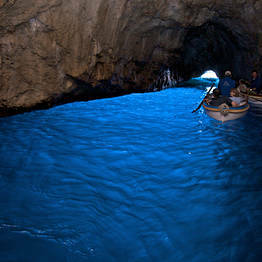 If you are interested in visiting the Blue Grotto, we suggest to do so first thing in the morning. 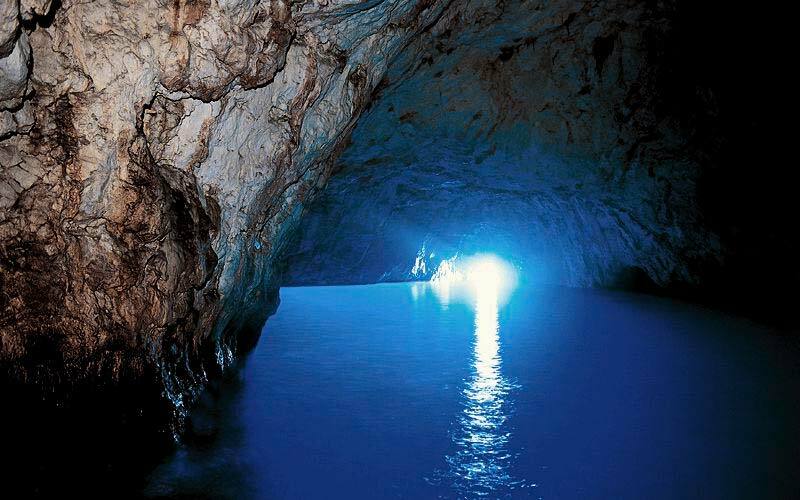 At the Marina Grande port, you will find ticket offices for the Motoscafisti di Capri and Laser boat tour companies, which offer Capri island boat tours with a stop at the Blue Grotto. 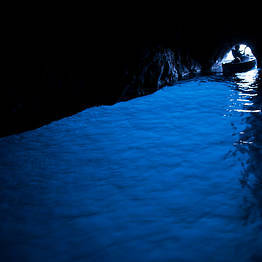 After visiting the Blue Grotto, instead of taking the boat back to Marina Grande, ask the skipper to let you off at the stairs which go up the cliffside next to the grotto. At the top of the stairs, you can hop on the bus to Anacapri and avoid the long queue at the bus terminal in Marina Grande. 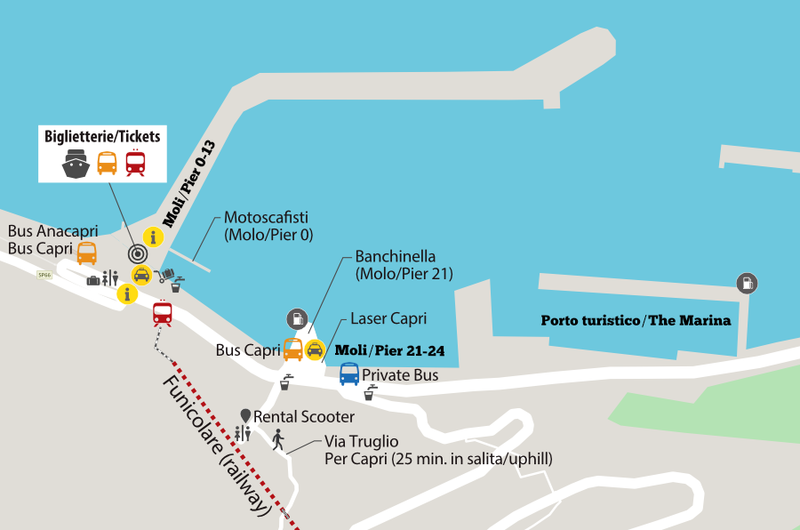 From Marina Grande, take the bus to Anacapri (check the timetable). 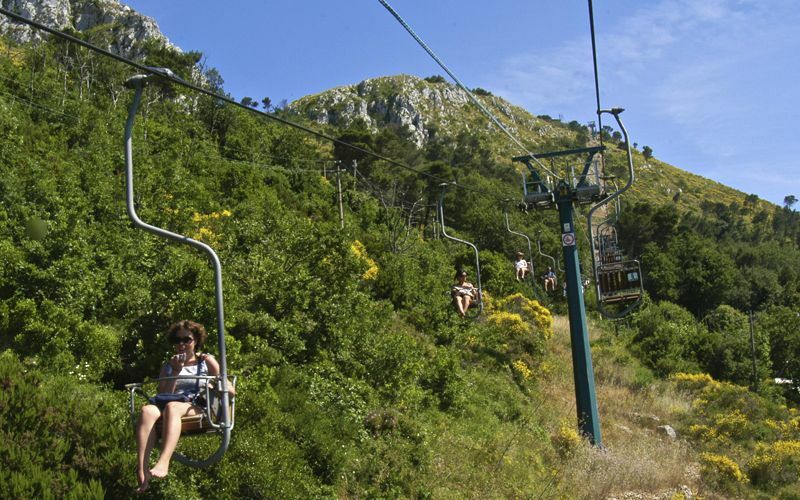 Get off at the last stop and take the chairlift to Mount Solaro, the highest point on the island with breathtaking views. Chairlift ticket price: 11 euros roundtrip, 8 euros one way. 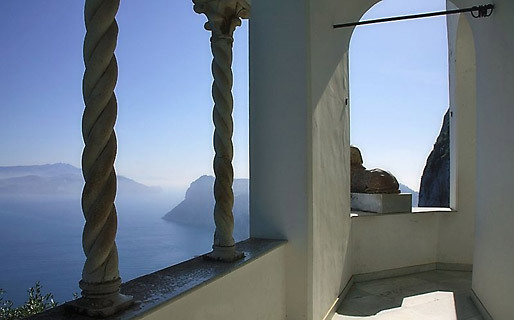 From here, you can either descend to the center of Capri, or stop at Anacapri to visit Villa San Michele. From the chairlift, take Via Capodimonte to the home and museum of Axel Munthe. 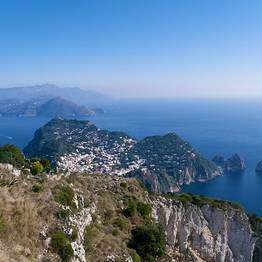 From Piazza Vittoria, take the bus to Capri. If there is a long queue to board, walk down Viale Tommaso de Tommaso a few blocks in the direction from which the bus arrives, and board at one of the much less crowded stops before the Piazza. 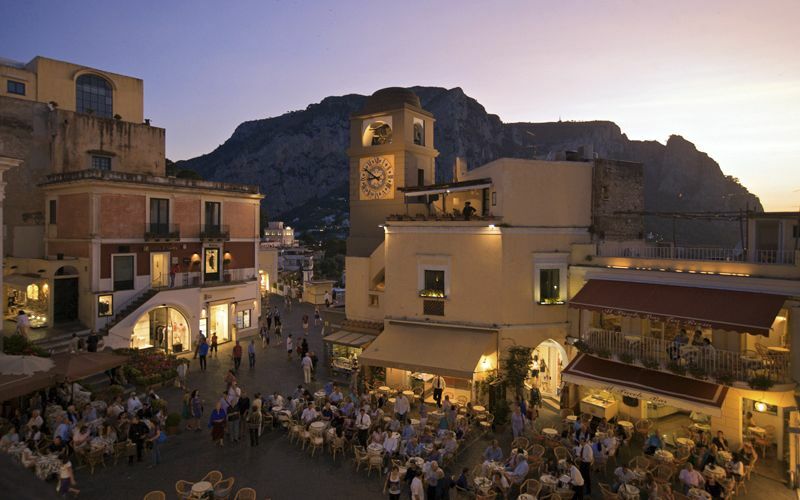 The bus will leave you just a few meters from Capri's famous Piazzetta; you can stop for lunch in one of the restaurants in the town center or opt for a quick snack at a bar and continue your visit. From the Piazzetta, walk down Via Vittorio Emanuele to the Quisisana hotel. Continue downhill, turning right into the Gardens of Augustus. 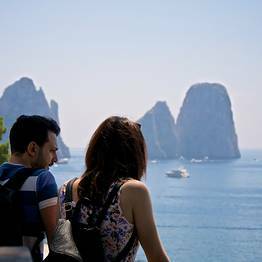 Here you can enjoy the sweeping view over Marina Piccola, Via Krupp, and the Faraglioni rock formations. After snapping a few pictures, retrace your steps to the Quisisana and continue along Via Camerelle, lined with chic luxury boutiques. At the end of the road, if you have any energy left, you can follow Via Tragara to the Belvedere overlook facing the dramatic Faraglioni. Otherwise, take Via Fuorlovado and Via Le Botteghe back, checking out the design shops along the way. Once you return to the Piazzetta, take the short funicular ride back to the port. In the summer months, avoiding the crowds and long lines by spending the day on the beach or at sea is a great idea. Here's an all-inclusive package with a boat tour + beach club pass + restaurant lunch on the water's edge.